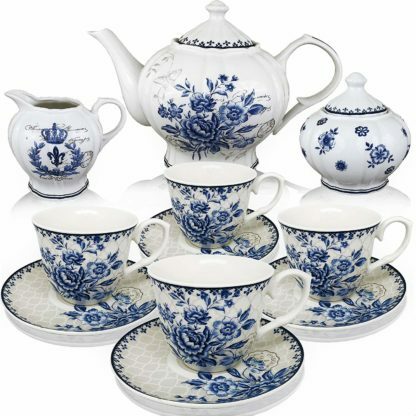 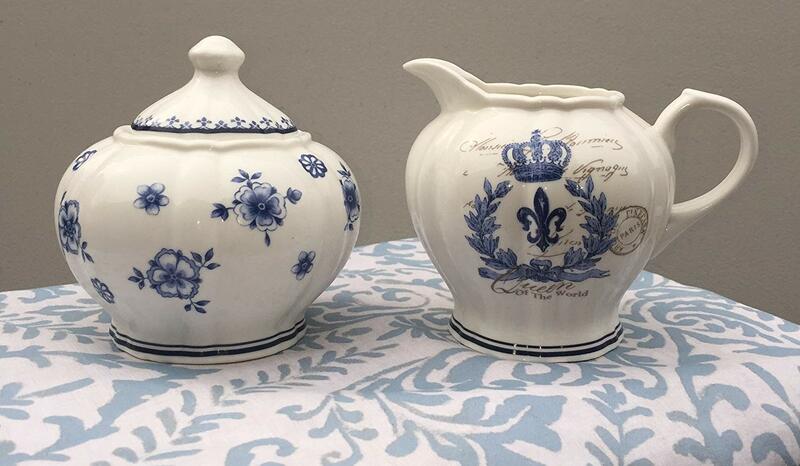 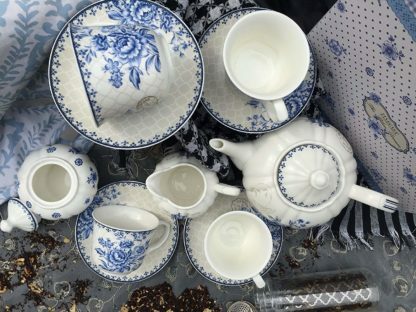 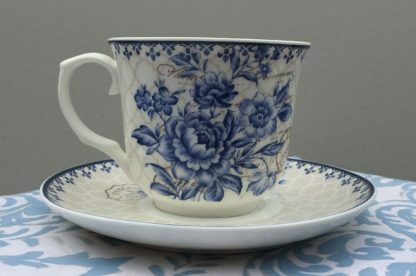 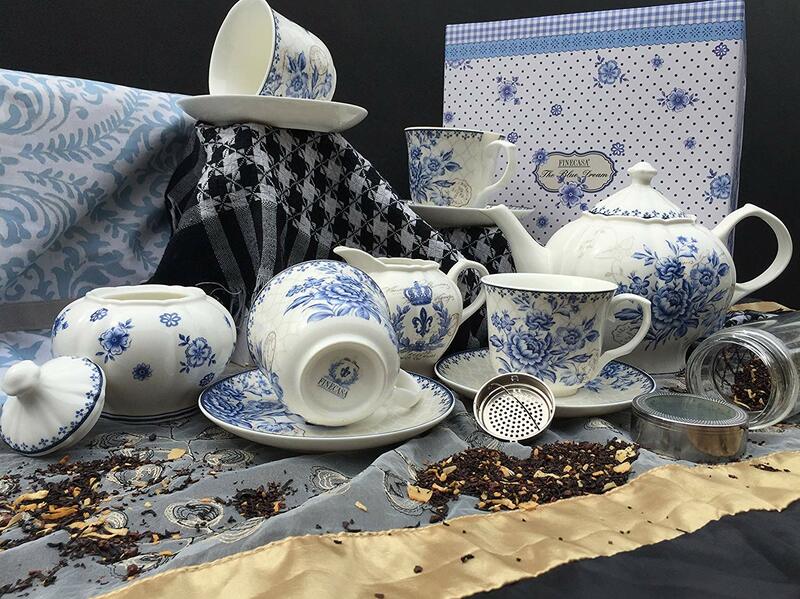 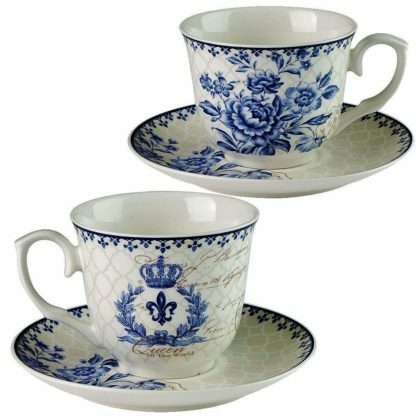 The beautiful Blue Dream Set consists of 11 pieces, 4 saucer, 4 cups (8oz), a teapot (48oz), sugar bowl and creamer pitcher. 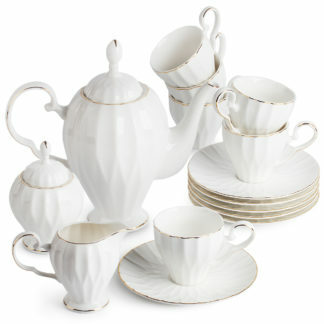 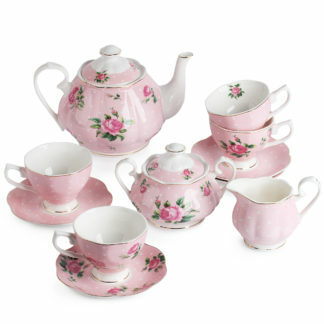 Made of porcelain, fine material known for its strength and elegance. The pieces are finished clean with beautiful prints in soft colors with exciting ways, Provencal features that provides a feminine and delicate look. 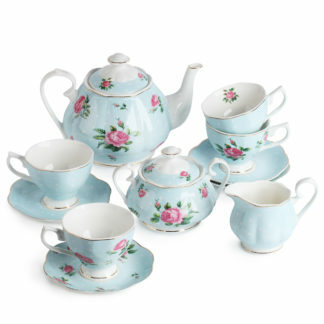 Decorate your kitchen and serve your guests in a practical way, but with great refinement and sophistication. Products come in an unique box.